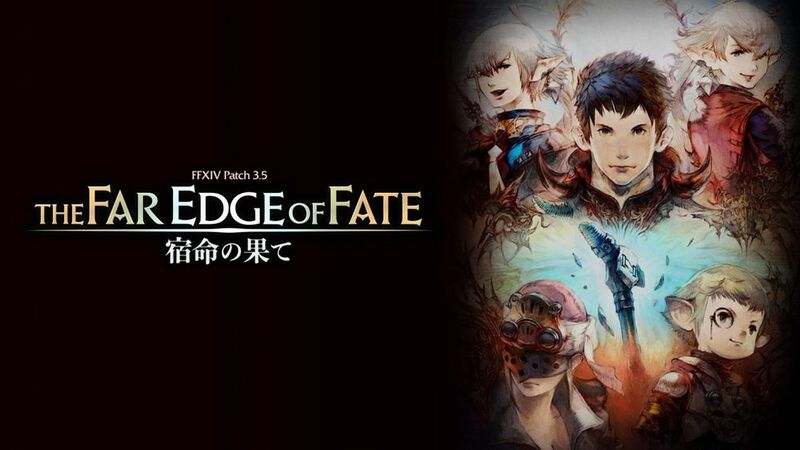 Now the patch notes, The Far Edge of Fate is released for Final Fantasy XIV. In our website, we have previewed the some details of the patch notes. In the patch notes, there are some new things added. Let's see the details below. Several quests have been added, such as new main scenario quests, new Chronicles of a New Era quests, new side story quests (Scholasticate and Hildibrand), new anima weapon quests, new beast tribe quests, and so on with the requirements. Players are able to select the "Go to your own apartment selection" option. There are other things having been added. A cross-server party finder is added to the game. So not only can cross-server parties register for the duty-finder and raid-finder, but the pool for potential parties (and friends!) is now much, much larger. An option that form a private party is also added with password-protected, so you can hit the Binding Coil of Bahamut with your exclusive A-team. "Marking the border between the Black Shroud and Gyr Abania, the legacy of Gaius van Baelsar is a towering monument to imperial tyranny. And now smoke rises from its iron crenellations." "The fall of Nidhogg brought an end not only to the Dragonsong War, but also to the hierarchy of power that reigned upon Sohm Al. Bereft of its dreaded leader, the Horde scattered to the four winds, leaving the dragons' sacred grounds untended and unguarded." Also the issues in FFXIV are resolved, but there are still issues to be fixed. What's more, more things are added except above things. You can see more details on FFXIV's official site.Have fun with the game. For more in-game currency, you can come to ffxiv4gil.com to get cheapest ffxiv gil.